In a fascinating episode of the ASMF podcast series, Ben Eshmade meets Jeremy Denk, one of America's foremost pianists, ahead of their tour of the United States together. A must-listen for piano players and fans alike, Jeremy offers an insight into his life as a busy concert pianist, delves into the repertoire of Mozart and reflects on the art of music-making. Listen here. Academy of St Martin in the Fields is one of the world’s greatest chamber orchestras, renowned for fresh, brilliant interpretations of the world’s greatest classical music. Formed by Sir Neville Marriner in 1958 from a group of leading London musicians, the Academy gave its first performance in its namesake church in November 1959. Through unrivalled live performances and a vast recording output – highlights of which include the 1969 best-seller Vivaldi’s Four Seasons and the soundtrack to the Oscar-winning film Amadeus – the Academy quickly gained an enviable international reputation for its distinctive, polished and refined sound. Today the Academy is led by Music Director and virtuoso violinist Joshua Bell, retaining the collegiate spirit and flexibility of the original small, conductor-less ensemble which has become an Academy hallmark. Under Bell’s direction, and with the support of Leader/Director Tomo Keller and Principal Guest Conductor Murray Perahia, the Academy continues to push the boundaries of play-directed performance to new heights, presenting symphonic repertoire and chamber music on a grand scale at prestigious venues from New York to Beijing. Complementing a busy international schedule, the Academy continues to reach out to people of all ages and backgrounds through its Learning and Participation programs. Find out more at www.asmf.org. Jeremy Denk is one of America’s foremost pianists. Winner of a MacArthur ‘Genius’ Fellowship and the Avery Fisher Prize, Denk was also recently elected to the American Academy of Arts and Sciences. Denk returns frequently to Carnegie Hall and has recently performed with the Chicago Symphony, New York Philharmonic, Los Angeles Philharmonic, and Cleveland Orchestra, as well as on tour with Academy St. Martin in the Fields. Last season he undertook a recital tour of the UK, including a return to the Wigmore Hall. He also returned to the BBC Proms playing Bartok's Second Piano Concerto, and in past seasons has performed with the London Symphony Orchestra, and the Britten Sinfonia, with whom he will perform again this season. Denk also recently made his debuts at the Amsterdam Concertgebouw, the Philharmonie in Cologne, and Klavier-Festival Ruhr, and continues to appear extensively on tour in recital throughout the US, including, recently, in Chicago, Washington, Boston, San Francisco, Philadelphia, and at New York’s Lincoln Center's White Light Festival in a special program that included a journey through seven centuries of Western music. This season, Denk returns to the San Francisco Symphony with Tilson Thomas, and Carnegie Hall with Orchestra St. Luke's, and continues as Artistic Partner of The St. Paul Chamber Orchestra with multiple performances throughout the season, and a new piano concerto written for him by Hannah Lash. He also appears in recital throughout the US, including performances in New York, Chicago, Philadelphia, Boston, Houston, Seattle, and Los Angeles. 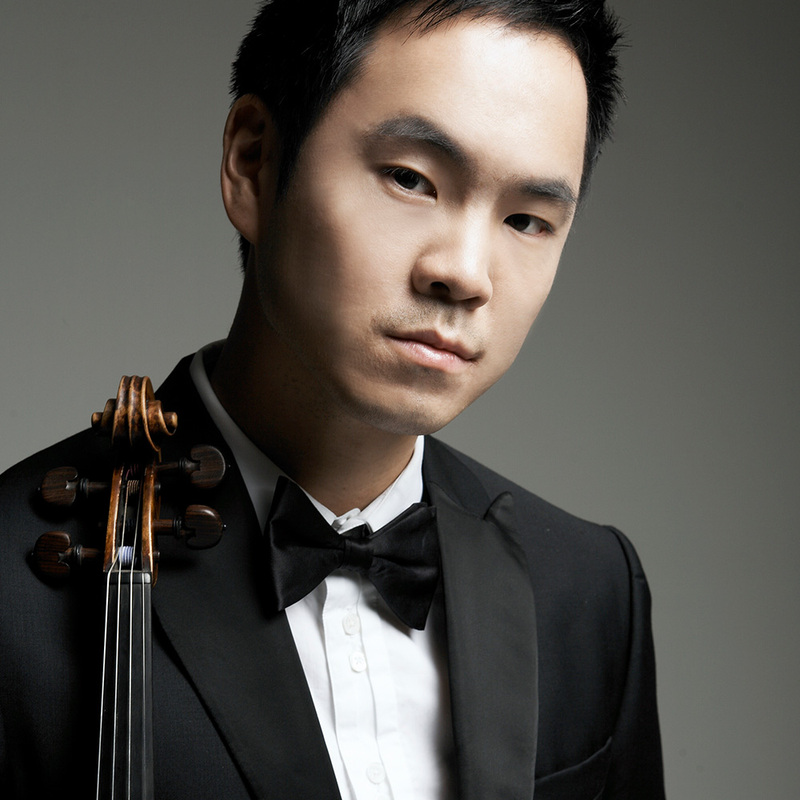 He also makes his debut on tour in Asia, including recitals in Hong Kong, Singapore, and Seoul. Future projects include re-uniting with Academy St. Martin in the Fields, and a US tour with his longtime musical partners Joshua Bell and Steven Isserlis. Denk is known for his original and insightful writing on music which Alex Ross praises for its "arresting sensitivity and wit." His writing has appeared in the New Yorker, the New Republic, The Guardian, and on the front page of the New York Times Book Review. He is the composer of an opera presented by Carnegie Hall, and is working on a book which will be published by Macmillan UK and Random House US. Denk’s debut with Nonesuch Record’s paired Beethoven’s Sonata, Op. 111 with Ligeti’s Études; his account of the Beethoven sonata was selected by BBC Radio 3’s Building a Library as the best available version recorded on modern piano. His latest recording of the Goldberg Variations reached No. 1 in the Billboard Classical Charts.